Today we’ll be talking more about the “Endo Diet,” particularly why we’ve been told to cut out as much processed sugars as possible. I’ve read that sugar may cause or aggravate inflammation, but it’s time to dig deeper and find the scientific backing to these claims. Inflammation, when needed, fights bacteria and infections, repairs damaged tissue, and helps our bodies heal faster from injury or illness. Cells and proteins whiz to the injury or infection site and begin to surround, protect, and heal. However, like the old saying goes: all things in moderation. Too much or excess inflammation can actually damage our bodies. Chronic inflammation may overwhelm or body rendering it unable to maintain a healthy balance and may lead to clogged arteries, stroke, heart disease, asthma, lupus, or a multitude of chronic illnesses. Sugar in particular has been found to create an immune system response (inflammation) as the body tries to break down the proteins found in sugar. Sugar also increases insulin levels, which (when there’s too much) may cause certain Omega fatty acids to increase prostaglandin levels, which may increase inflammation. Not to mention heightened blood sugar levels may increase chances of becoming Diabetic. And many people also believe that sugar intake, and increased chronic inflammation, may increase the risk of cancer. Many people believe by making an active effort to reduce their sugar intake, they are taking steps to help reduce their body’s chronic immune response, thus helping reduce their inflammation and pain. At the 1999 55th Annual Meeting of the American Society for Reproductive Medicine, it was presented that certain pro-inflammatory proteins and cytokines (cytokines are increased by sugar consumption) may influence and increase the inflammation of Endometriosis implants. A study published in 2006 focused on diet and the metabolic syndrome. What’s “metabolic syndrome?” Well, it’s a combo of different conditions all leading to an increased risk of heart disease: high blood sugar level, excess body fat, and abnormal cholesterol levels. 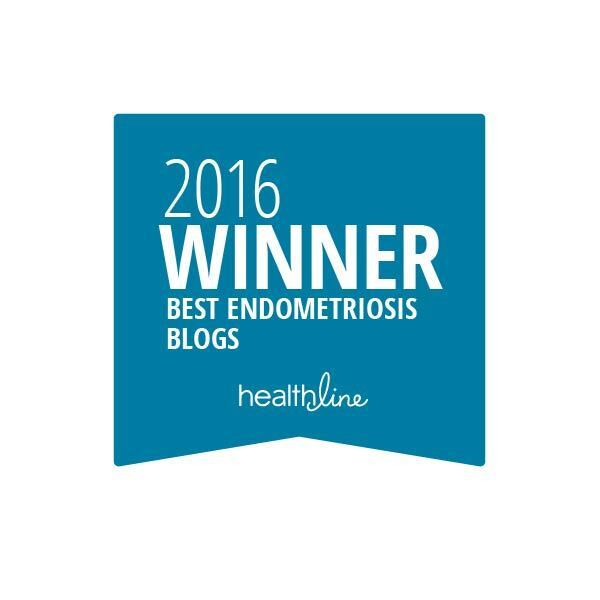 Although not dealing with Endometriosis, I found the study equally fascinating. This study found that a diet high in refined starches, sugar, saturated and trans-fatty acids and low in fruits, veggies, whole grains, and Omega-3 fats may cause issues with the immune system, likely due to an increase of inflammatory agents and a reduction of anti-inflammatory goodness. 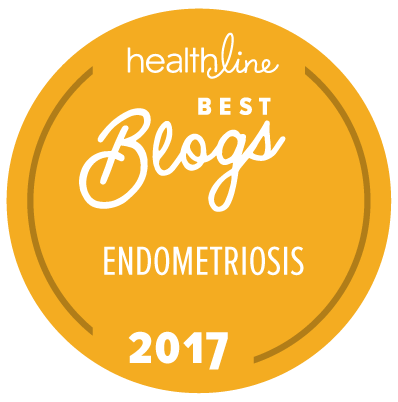 A study published in 2008 discussed several lifestyle changes which may help prevent or regulate the pain of Endometriosis, as well as fibroids and breast cancer. Maintaining healthy blood-sugar levels by following a low-glycemic-index diet is referenced as potentially preventing or fighting inflammation. A study published in 2011 found that “sugar-sweetened beverages” promoted inflammation in healthy young men. Twenty-nine men consumed low to moderate sugar-sweetened beverages. I’d love to see the same study conducted on much higher-level beverages, such as Monster or Rockstar! Still want to eat sweet but lessen your processed sugar intake? Try these alternatives: artichoke syrup, blackstrap molasses, coconut palm sugar, lucuma powder, raw honey, or stevia. These are all “less evil” than sugar, but again: all things in moderation. Some people suggest pure maple syrup or agave nectar; others dissuade against them as a sugar alternative. And, please, avoid those artificial sweeteners like Sweet’N Low, Splenda, Equal, etc. They may contain chemicals that pose an increased risk of developing cancer. Sugar is found in nearly EVERYTHING you put in your mouth. Fruit, vegetables, meat, processed foods, sugar cane, maple syrup, honey, agave, etc. The list just goes on and on. Sugars are also labeled many different ways…for more information on how to find added sugars on your food labels, click here. And since I still want to eat and drink, I choose to eat and drink differently for my Endometriosis. I find it interesting that the foods I’ve already either reduced or fully-eliminated from my diet also coincide with the whole sugar-thing: soda, coffee (with copious amounts of added sugar), bread, red meat (some red meats have been linked with high sugar levels), baked goodies (cakes, cookies, brownies), desserts (creme brulee, ice cream), and alcohol. I drink herbal tea in the morning and a homemade tea at night, using organic honey to sweeten both. I enjoy my fruits and vegetables, my fish, my poultry. And I drink a lot of water (I really don’t drink anything else anymore, except my glass of wine at night with dinner). I like to think I’m reducing my chances of increasing my inflammation and pain. But the question is: what will you do? < Truth, Theory, or Tall Tale?